An esophageal manometry test measures the motility and function of the esophagus and esophageal sphincter. 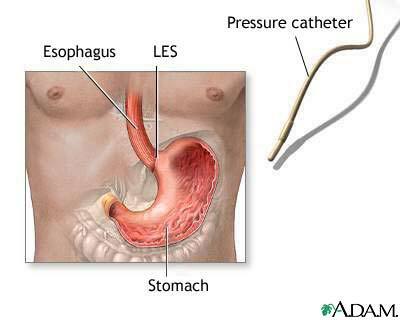 A tube is usually inserted through the nose and passed into the esophagus. The pressure of the sphincter muscle is recorded and also the contraction waves of swallowing are recorded. The manometry test is a tool used to help evaluate swallowing disorders.